Want to get involved in any of our active projects? We'd love to have your help! Please check out our VOLUNTEER page for more information. Cut the vine or bush and paint the stump with full strength glyphosate super concentrate (49-52%) using a brush or dauber. Remove all the crown if possible. If not, spray the dry leaves with Lontrel or Transline (2oz/3 gallons water). Remove as much the plant by the roots as possible. When resprouting occurs carefully spray the new dry leaves with glyphosate super concentrate at 1 1/2oz per gallon of water. Be careful, overspray will kill surrounding vegetation. For questions or further information contact SCLT at 828-749-1560 or info@saludaclt.org. 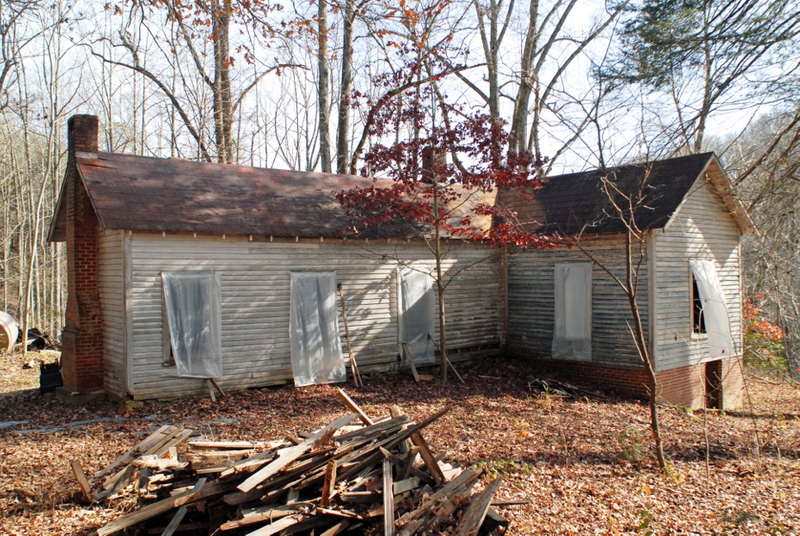 Moody house rehab and trail construction on this 21 acre SCLT property within easy walking distance of downtown. 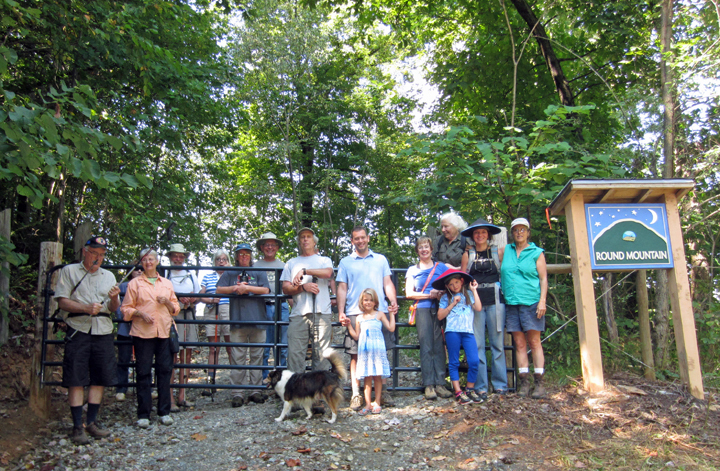 The work on the house, spring box, outbuildings and trails are on-going and need your volunteer time. This is a great family project. 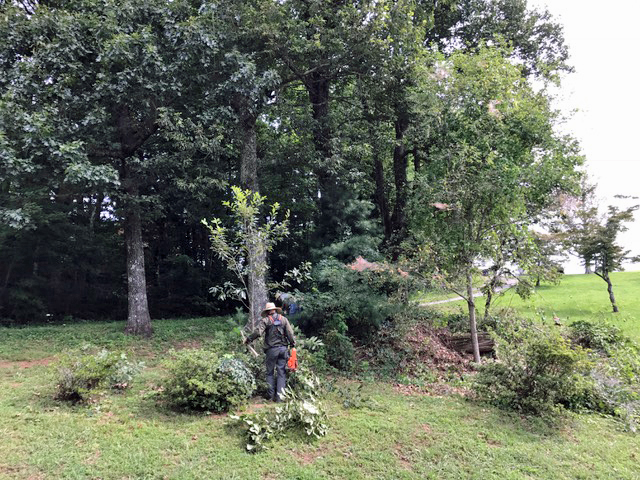 Although the trail is established to the picnic area where there are benches to sit on, a table for your picnic, and some fun large boulders for climbing, there is much work to do beyond this point. After this area, the trail becomes a red-tape-flagged, strenuous route continuing uphill. It is possible to follow this flagging on to the top of Round Mountain. 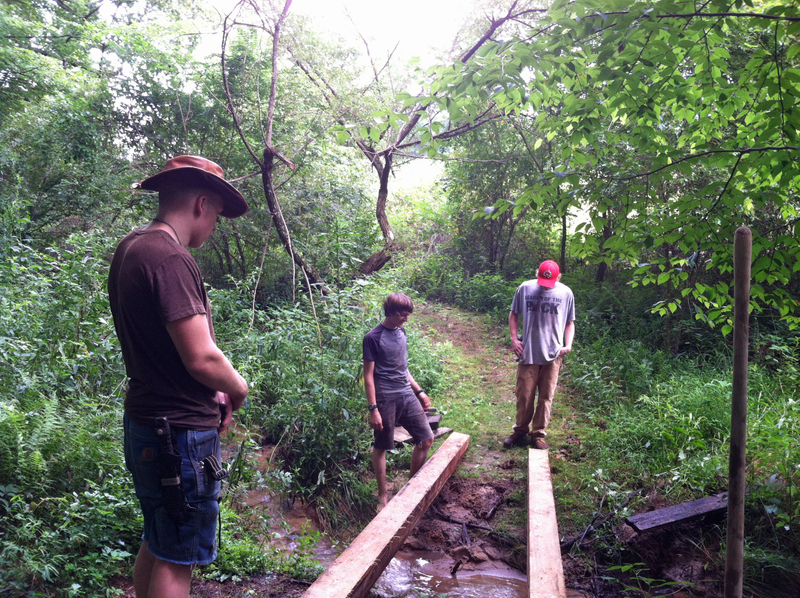 This section of the trail has not been completed; it is a work in progress, please help us finish this project. Walk any of the trails and report any needed up-keep. Feel free to take care of the trails as if they were your own, because they are. Located on Chesnut Street in Saluda. 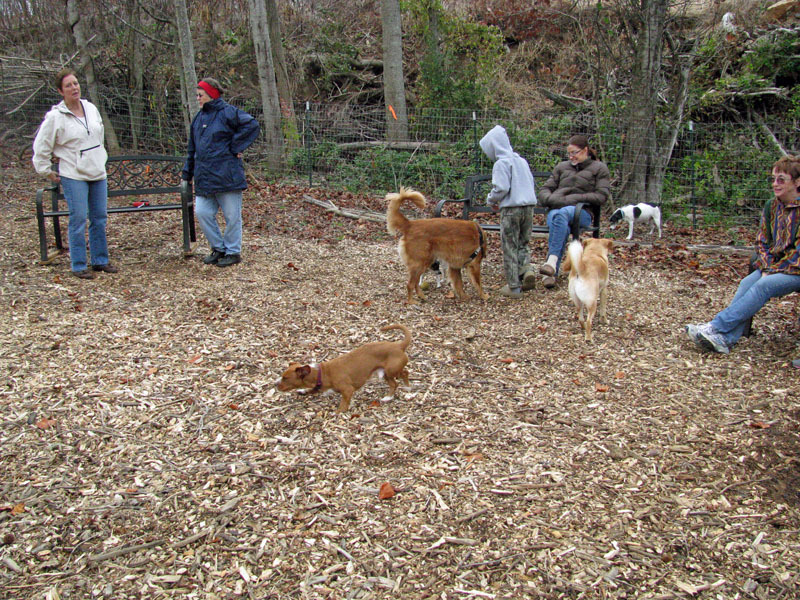 Help keep this area inviting for dog and human friends.